Today, Rivian revealed an awesome fully electric pickup truck that — if it comes to market — will blow up the sort of stereotype saying that EV’s cannot haul a big boat to the lake for the weekend. 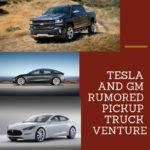 Namely, the Rivian R1T has massive towing capacity, and will be offered with battery pack capacity up to 180 kiloWatt-hours meaning it will have the energy capacity for a long trip towing heavy cargo. In other words, this is a very different sort of vehicle from what’s been seen so far, it fills a very different niche than does Tesla. The Rivian R1T reminds me of a conversation I had while showing EV’s at a public event a few years ago. The guy said what he really wanted was the equivalent of the Chevy Silverado 1500, and of course the Ford F-150 is an extremely popular vehicle. The existence, and popularity, of both is testament to a set of needs that has so far not been served well by electric vehicles. The drive train has four motors, one for each wheel, delivering 147 kW of power to each wheel and up to 14,000 Nm of Torque. In terms of raw speed it can do 0-60 miles/hr in as little as 3 seconds, depending on configuration — in a pickup truck. 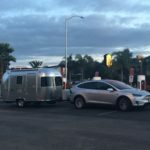 Towing capacity is 5000 kg, or 11,000 pounds (5.5 tons), which is a lot higher than the Tesla Model X towing capacity. 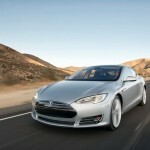 The battery pack configurations are 105 kWh (230 miles), 135 kWh (300 miles) and 180 kWh (400+ miles). 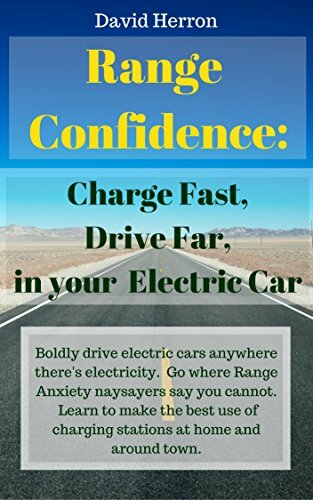 The range estimates obviously will not correspond to range-while-towing, and the battery pack sizes are way beyond what is available in other electric vehicles (other than big trucks). Presumably the purpose for the large battery capacity is to support towing stuff for long distances. 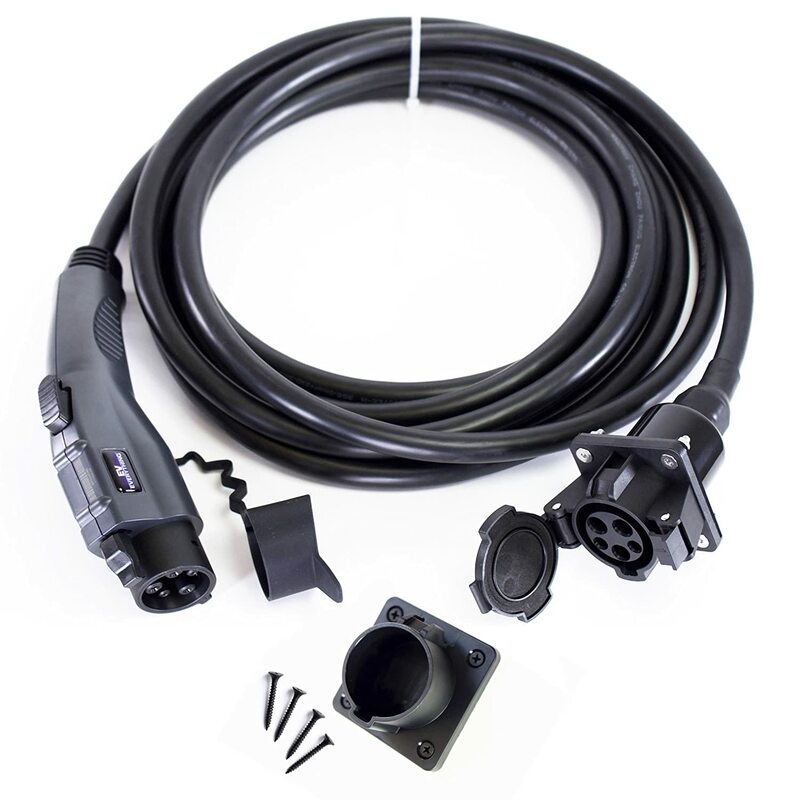 The charging system support 160 kW fast charging and 11 kW on level 2 charging. This is reasonably fast, for example on fast charging the vehicle gains over 200 miles range per 30 minutes of charging. 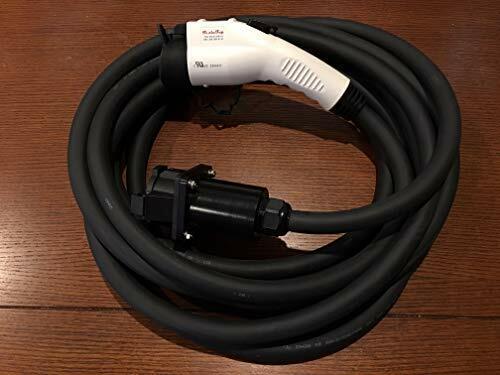 However at 11 kW the charging rate means 15+ hours for a full recharge and some folks will find that constraining — consider that trip to the lake, where you end up stopping at a hotel for an overnight stay but cannot recharge overnight. 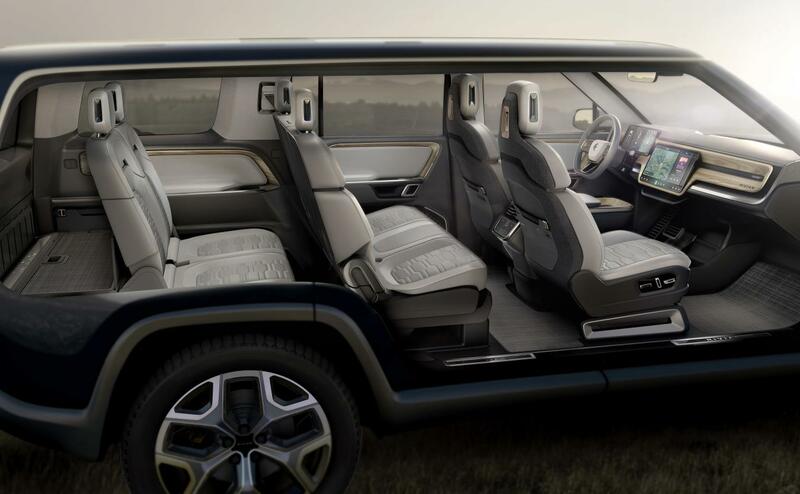 There is also an SUV from Rivian, the R1S, with similar characteristics indicating it is using the same platform but with a different body on top. R1T pricing starts at $61,500 after Federal Tax credit. R1S pricing starts at $65,000 after Federal Tax credit. Deliveries begin in late 2020. There is a number of interesting other features that could be discussed, for example it will deliver with Level 3 autonomous driving where Tesla delivers Level 2. But there is an issue of targeting I want to discuss. 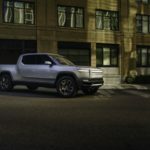 I am wondering if Rivian is smart enough to realize they should be targeting commercial truck users? I said earlier the Ford F-150 is one of the most popular vehicles in the USA. It is widely used at construction sites and other commercial settings, and is a real workhorse vehicle. In terms of offsetting fossil fuel consumption, a bigger bang will be a vehicle that targets these commercial users than a vehicle targeting regular folks who see a yearly trip to the lake as their justification for owning a large pickup truck. Rivian positions the R1T and R1S in the “adventure vehicle” market – which I think means those who make that yearly trip to the lake hauling a big boat they use once a year at that lake. The videos below are certainly aimed at such people. The folks who treat their trucks as a workhorse – they’re using the truck every day, they’re often hauling heavy equipment or supplies to a work site, etc. One particular feature in the Rivian R1T is a nod to those people. Namely, under a flap in the bed is a set of power outlets. 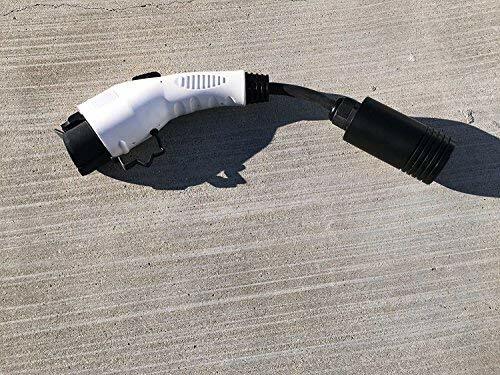 It is 3x 120 volt power outlets, providing up to 400 Watts of power export, as well as 3x USB-C ports. That’s a start in the right direction. Workers are often hauling portable generators to power tools in the field. Sometimes “tools” means arc welders and the like. 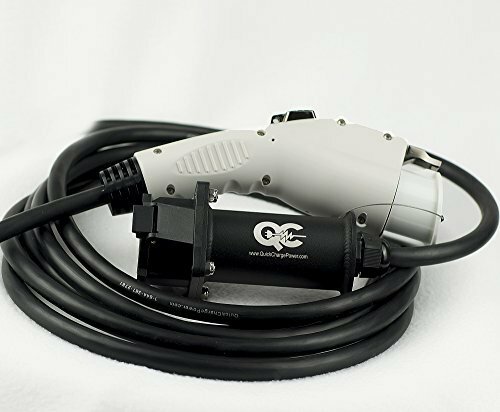 While 400 Watts can power many tools, it is not the 240 volts that are required for heavy duty power tools, and of course running a welder requires much more than 400 Watts. 400 Watts isn’t even enough to run a decently powered electric cook stove, or heating, or air conditioning, as might be desired by someone wanting an “adventure vehicle”. In other words the R1T has a lot of features that should be attractive to working guys (contractors, etc) but the power export feature falls a little bit short. Currently these guys do not have a truck that natively supports this kind of power export and therefore they end up hauling a generator. However it’s known that such customers would appreciate the opportunity to avoid hauling in a generator if the truck had sufficient power export. 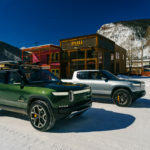 LOS ANGELES, Nov. 27, 2018 — Rivian, an electric vehicle manufacturer, unveiled its highly anticipated Electric Adventure Vehicles™ — the R1T, an all-electric pickup and the R1S, an all-electric SUV — at events surrounding the LA Auto Show this week. Rivian is now accepting preorders for a refundable deposit of $1,000. More information is available at www.rivian.com . 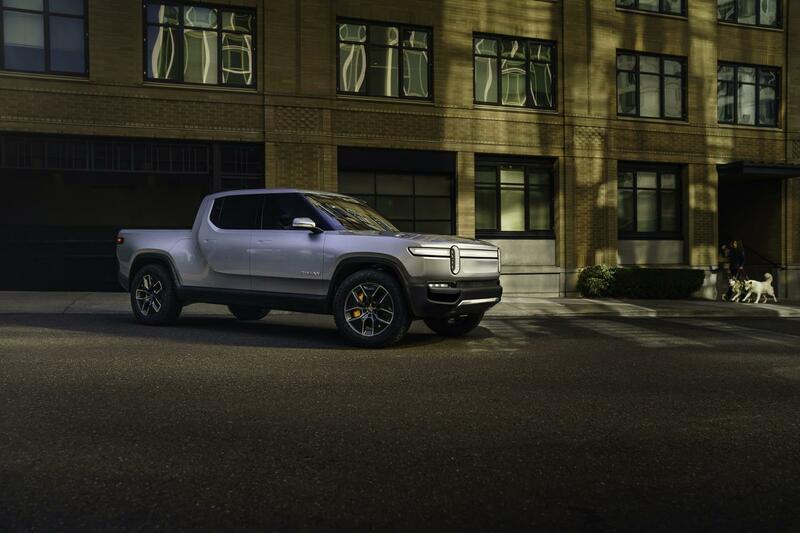 Electric Pickup Truck, Rivian, Rivian R1T. Bookmark.